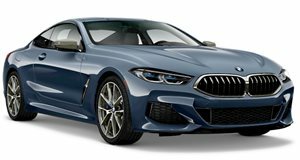 After being absent from the market for nearly 20 years, BMW has finally brought back the beloved 8 Series for a second generation. Clearly, this has made render artist Rain Prisk reminisce about the original 8 Series from the 1990s and inspired the designer to imagine a new take on the glorious grand-tourer. What you're looking at here is the classic 8 Series reimagined as a mid-engined Ferrari fighter. The design shares more than a few similarities with the Ferrari F355, which is no coincidence. Both cars have pop-up headlights, and the F355’s shape lends itself well to BMW’s 1990s design philosophy. The Ferrari’s side scoops have been removed, but we can’t help but wish BMW had put this sleek mid-engined supercar into production. Sadly, BMW hasn’t produced a mid-engined supercar since the M1 finished production in 1981. And while the hybrid i8 is mid-engined, its performance doesn’t put it in supercar territory. The artist has also imagined what a mid-engined version of the current 8 Series could look like, which has us pining for a BMW supercar. It could finally happen, too. A recent report by Autocar claims that BMW is considering putting a hybrid super-sports car into production to take on the McLaren 570S and Acura NSX. It could have twice as much power as the i8, and while that may not put it in the same league as powerful mid-engine supercars like the Ferrari F8 Tributo and McLaren 720S, it’s the closest we’re likely to get to a BMW supercar. Before then, the flagship BMW M8 will break cover later this year with a twin-turbo V8 engine that produces over 600 hp. A more powerful M8 Competition model could also join the line-up, but we’re still going to keep dreaming about a mid-engined M1 successor.